The biggest criticism of AR is typically that it’s too gimmicky. It gets hoards of people crowding ’round at exhibitions cooing about how cool it is, but it’s often difficult to see any useful real-world use-cases for the technology. Furthermore, holding your smartphone or tablet out in front of you doesn’t seem like the most natural way of experiencing AR. The Next Web was invited along to meet Vuzix last night, to see what the future of video eyewear looks like. 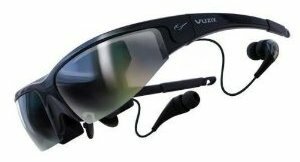 Vuzix Corporation is a pioneering manufacturer of video eyewear technology and personal display devices for the mobile video, entertainment, defense and commercial markets. Each year, Vuzix provides thousands of its display systems to the military and other companies for night vision and other applications. The company is actually the lead supplier to the US Army’s Future Force Warrior program, providing head-mounted displays and is working under contract with the US Special Operations Command (USSOCOM) to deliver next generation displays for fighters. We got to test out the recently launched Wrap 1200 video eyewear, which is a consumer-focused product that can be used with media players, portable DVD players, gaming consoles, cell phones and laptops. Vuzix has also just announced that its Tac-Eye Monocular Display System is available for purchase in Europe. The TacEye LT is a pretty lightweight, high-res monocular eyewear designed for use ‘in the field’, wherever hands-free video displays are needed. So at the moment, we’re mainly talking about industry. That’s all very well and good. But the technology we got a glimpse of last night went several steps beyond that. Video eyewear is typically quite clunky, but Vuzix has been developing some pretty innovative new technology which could completely shape the the future of AR video eyewear. Vuzix recently announced a technology license agreement with Nokia in Finland to produce see-through waveguide optics for use in near-eye display (NED) systems (head mounted displays and video eyewear), built on Nokia’s see-through (Exit Pupil Expanding) EPE optics technology. The agreement will see Vuzix’s and Nokia’s technology brought together, and it’s expected to accelerate the development and introduction of new NED products to the market. Under the agreement, Vuzix will be carrying out research and development and is expected to manufacture and bring to market components and products containing the licensed technology. In addition, Vuzix will provide Nokia with access to its products and components which incorporate the licensed technology. The see-through EPE technology has been developed and prototyped by Nokia over the past decade in various forms and Vuzix believes it has the potential to form the basis for sunglass-styled video eyewear, which could be manufactured in high volume and appeal to mass consumer markets. Vuzix recently signed a research contract with the Defense Advanced Research Projects Agency’s (DARPA) Persistent Close Air Support (PCAS) Program in the US. 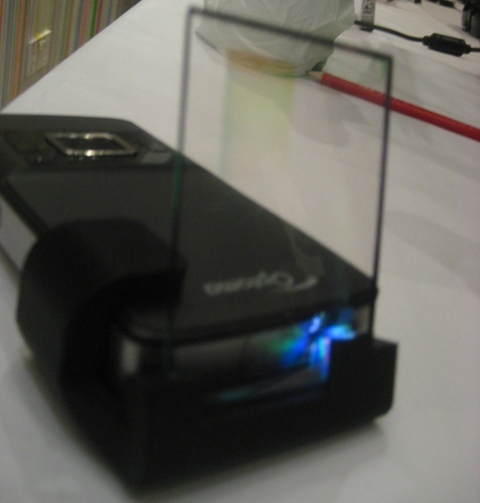 PCAS is helping to fund the development of a high definition (HD) micro display and a see-through holographic optic. This technology is expected to be rolled out with DARPA in July next year. A couple of days back, we also reported on augmented reality contact lenses, which are currently being tested out on rabbits by a US/Finnish team at the University of Washington. It’s all very futuristic, but the future – it seems – is almost here.